I've found out my son has used cannabis. Does he need treatment? Can you, or should you 'trust' an adolescent? I recently posted a link to an article on my Facebook page that had been written by a teenager offering a number of parenting tips. It begins with the lines "I have not birthed a child, held one in my arms, and felt what it is like to see my own creation. I have not become a parent. Ice, crystal, crystal meth or meth: Why is this drug so problematic? A week doesn't go by without some sort of media story about 'ice' hitting the headlines. They usually involve stories of users committing violent crimes or law enforcement agencies announcing another huge seizure of the substance. 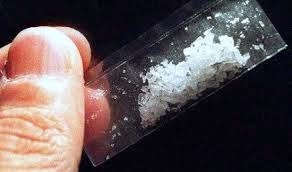 However, the story of of the 26 year-old daughter of the late NSW Premier Neville Wran, Harriet being charged with the murder of a drug dealer and her alleged 'ice' addiction has once again brought the issue of methamphetamine and its associated problems to the front pages of newspapers across the country. The question I have been asked since the story broke is why would a young woman who apparently had 'everything' end up using a drug like ice? I don't think many would have been surprised if her drug of choice had been cocaine, a drug usually associated with 'high-flyers' and the rich and famous, but why ice? What is the attraction of this drug and why is it so problematic? I'm keeping her back so she will be 18 for Schoolies!! This will be one of the shortest blog entries ever - simply because I have no idea what to say about it! As regular readers of my blog will know, parental behaviour continues to baffle me but this just blows my mind! I was at a K-12 school a couple of weeks ago and was told by a couple of primary teachers that they were recently seeing a new phenomenon where parents were holding their child back from entering Year 1 so that they would be 18 in Year 12 when they went to Schoolies! Just having a parent think that seems pretty weird to me but to vocalize it and say it to others, including the classroom teacher is truly bizarre! Then, to actually do it ... I have no words! A couple of drinks to take to a party + teenagers: How can parents not see that this can lead to sexual activity?